Thanks for stopping by our bakery. We have so many treats for you here. 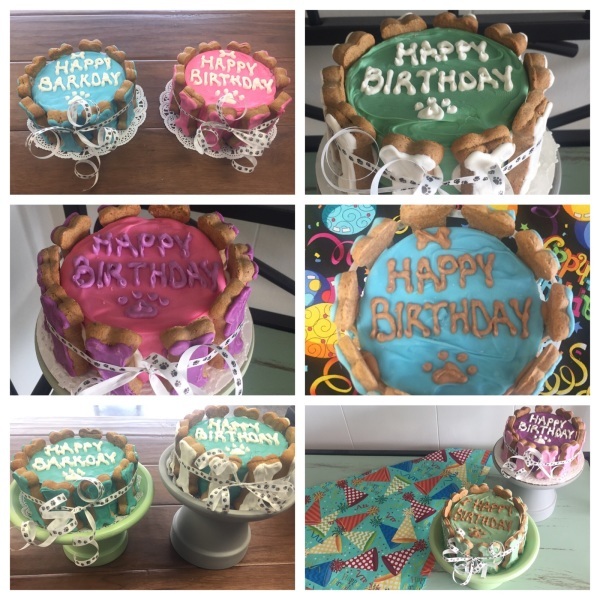 We have Birthday Cakes, Gourmet Iced Dog Treats, Gourmet Assorted Flavor Dog Biscuits, Gourmet Soft Treats, Doggy Frozen Yogurt, Bandana Collar Covers and much much more. All our delectable delights are made with human grade dog-safe ingredients and, of course, lots of Love. But that’s not all we have here! Our Biscuit Bar is always fully stocked, we have gift bags for that special puppy in your life, a variety of your favorite toys to choose from and we even have an assortment of today’s latest collar cover fashions to keep you looking your absolute best out there on the walk. Thanks for checking us out. We appreciate it. You're always welcome at the Paw Street Bakery. We hope to see you soon. P.S. - Bring your human, they’ll enjoy it too.